NAIRN now has access to free WiFi in and around the centre of the town thanks to a project led by the Highland Council and funded by the Inverness and Highland City-Region Deal. The free WiFi, called “High-Fi”, is aimed at stimulating economic growth and will increase digital inclusion across the Highlands. Easy access to digital connectivity is seen as essential if the Highlands region is to be innovative and keep its competitive place in the tourism market. Allied to this, WiFi also offers the opportunity to gather data to support tourism and the creation of a wireless infrastructure in a town centre allows smart traffic management technology to be utilised. 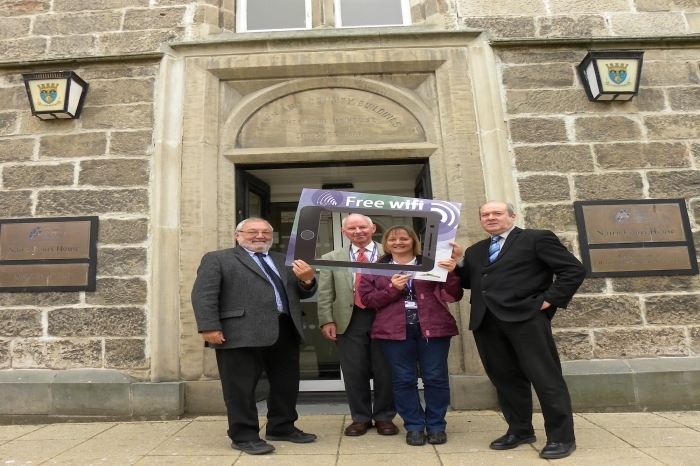 Nairn is among the first of the 14 towns to get free wifi. Additional towns to receive High-Fi during phase 3 of the project include Alness, Aviemore, Dingwall, Dornoch, Drumnadrochit, Fort Augustus, Fort William, Invergordon, Nairn, Portree, Tain, Thurso, Ullapool and Wick. The rollout for all14 towns will be completed by the late spring of 2018, and involves local communities, groups and businesses. “This project is fantastic news for Nairn and I am sure it will be welcomed by everyone who lives here, as well as visitors. Digital connectivity is essential these days for daily life and the free access to WiFi will enable visitors and locals to make the most of local businesses by checking what’s on, where to visit, opening hours, accommodation and prices, as well as finding job opportunities and keeping in touch with family and friends.